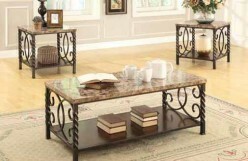 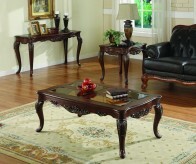 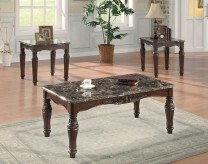 The Mali 3pc Coffee Table Set features hand carvings in an antiqued brown finish with glass inlays. 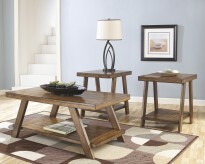 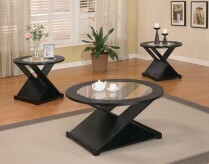 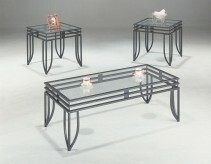 Furniture Nation is proud to offer the Mali 3pc Coffee Table Set online. 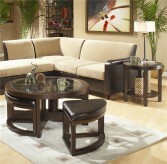 We serve customers across the DFW region including Grand Prairie, Desoto, Denton and many more. 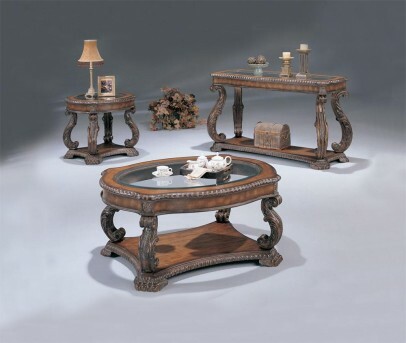 Mali Cocktail Table : L46" x D36" x H22"
Mali End Table : L29" x D25" x H25"